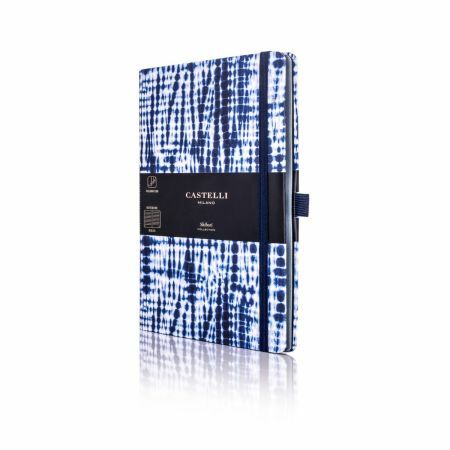 Powerful blue patterns channel the ancient Shibori technique of harmony and reflection with added Italian flair. 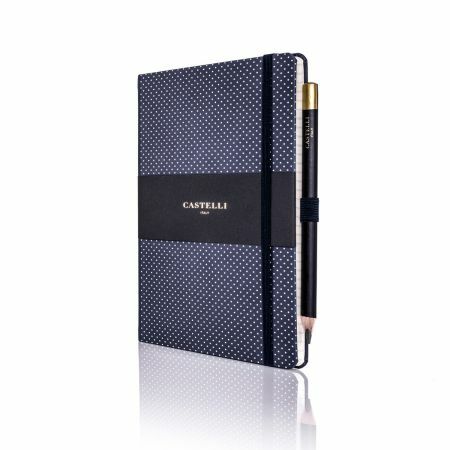 Expertly crafted like a tailor-made suit, soft and flexible materials, accurate details and stitching to enhance its style and elegance. 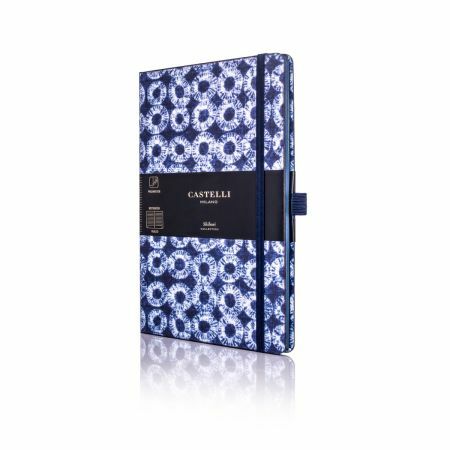 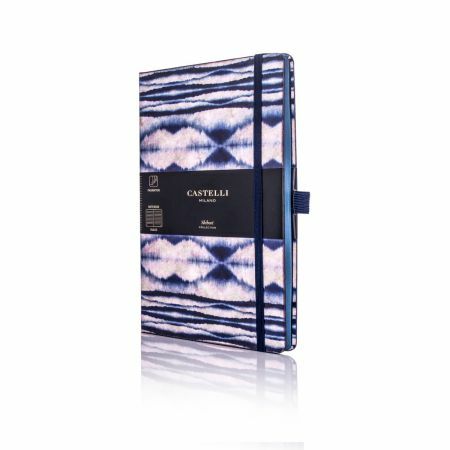 Classically Italian, this designer notebook combines exclusive royal blue soft touch Tucson material with a cream dotted pattern. 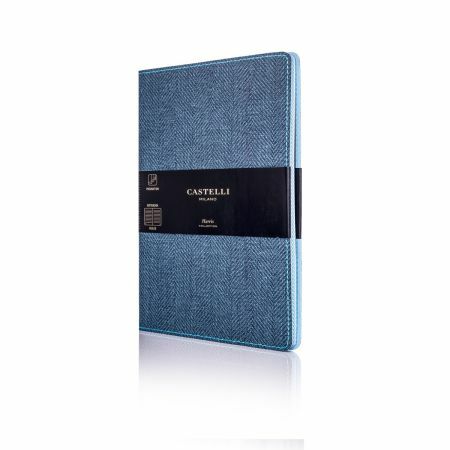 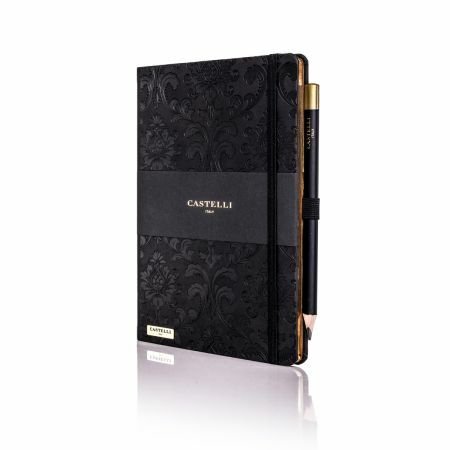 Baroque Ivory Notebook from the Castelli Black and Gold Collection, elegant notebooks featuring a delicate blind embossed cover design with additional luxury features that sympathetically infuse Italian design and technical brilliance.